New York, NY (April 23, 2018) – Doosan, a global leader in the Infrastructure Support Business, is proud to announce a multi-year partnership with the New York Yankees. The new partnership adds to Doosan’s existing sponsorship portfolio, which includes multi-year relationships with Major League Baseball and The Open Championship. The partnership will provide Doosan with branding and marketing benefits including permanent branding at the visiting team’s on-deck location, exclusive VIP hospitality experiences throughout the season, and other experiences with players at Yankee Stadium. Doosan’s multi-year MLB partnership began in the 2017 Postseason, where Doosan saw significant brand exposure across national broadcast and MLB-owned channels and was the first-ever brand to be presenting sponsor of the ALDS. 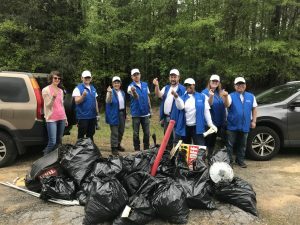 Doosan’s subsidiaries, which reside in the U.S., account for $3 billion (US) in annual revenue and have approximately 4,000 employees, participated in this partnership in hopes of elevating Doosan’s brand awareness in the U.S. market and closely communicating with customers. While Doosan’s presence can be found in every area of the infrastructure support business, Doosan’s subsidiaries including Doosan Bobcat, Doosan Infracore,Doosan Industrial Vehicle, Doosan Fuel Cell, Doosan Turbomachinery Services, and Doosan GridTech are strengthening their presence in the U.S. market in the areas of construction equipment, logistics equipment, and energy. About Doosan:Doosan is Korea’s oldest business organization with a proud history of longer than 120 years. 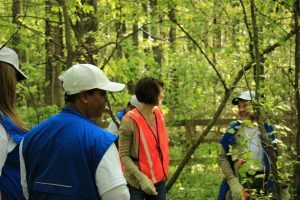 As the world’s leading Infrastructure Support Business (ISB) provider, Doosan delivers the basics necessary for improving the quality of people’s lives. Doosan’s history represents a story of dynamic change and growth. Founded in 1896 as Korea’s first modern retail business, Doosan has transformed and established itself as a world-class ISB provider. With about 40,000 employees in 38 countries, Doosan now operates 25 affiliates and 121 global entities. Doosan’s presence can be found in every area of the infrastructure support business, which encompasses energy development, industrial facilities, parts and machinery, heavy equipment, construction, civil engineering, transportation and other value-added areas. About the New York Yankees: Founded in 1903, the New York Yankees are the most successful and popular team in Major League Baseball history, having won 27 championships while appearing in 40 World Series. 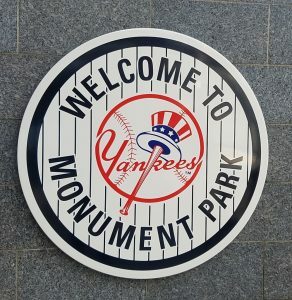 The club plays its home games at Yankee Stadium, which is one of New York City’s most-frequented tourist destinations and home to numerous non-baseball events, including college football’s New Era Pinstripe Bowl. As a result of their on-field accomplishments and iconic interlocking “NY” logo, the Yankees are among the most recognized brands in the world.